Prior to working for Sky, Faisal worked as a reported for The Observer following which he moved to television and spent ten years working for Channel 4; first as Business Correspondent for Channel 4 News and then moving onto Economics Editor, again for Channel 4 News. During his time in television and news, Faisal has been at the forefront of business, corporate and political stories; reporting on the ups and downs of the corporate world. He has exposed the Icelandic banking crisis, watched Lehman Brothers fall from Wall Street, investigated emerging economies in India and Singapore and interviewed everyone from the Prime Minister to the President of the World Bank. 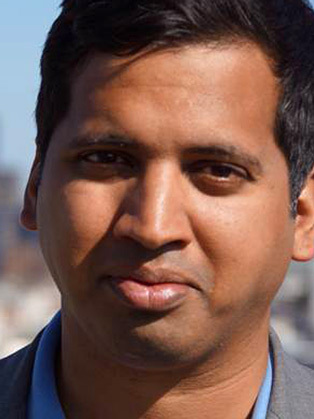 As well as the Interview of the year in 2017, Faisal’s work has earned him many awards, including numerous awards for his coverage of the Icelandic banking crisis in 2009 and the WorkWorld Foundation's "Broadcast News Reporter of the Year" in 2010, where he was particularly complimented for his ability to turn complex abstract economic issues into language accessible for all. Faisal was also nominated for Services to Media at the British Muslim Awards in January 2015. Faisal is of Bengali descent, educated at Manchester Grammar School, and attended Trinity College at the University of Cambridge. In 2000, he gained a Post-Graduation Diploma in Newspaper Journalism from the City University in London and started work as an economics correspondent for the Observer newspaper.